Building a website from the ground up is far easier and much quicker with the use of a content management system (CMS) and while some of the best known such as Wordpress are ideal for many projects, at times, simpler and lighter solutions are far more suitable. 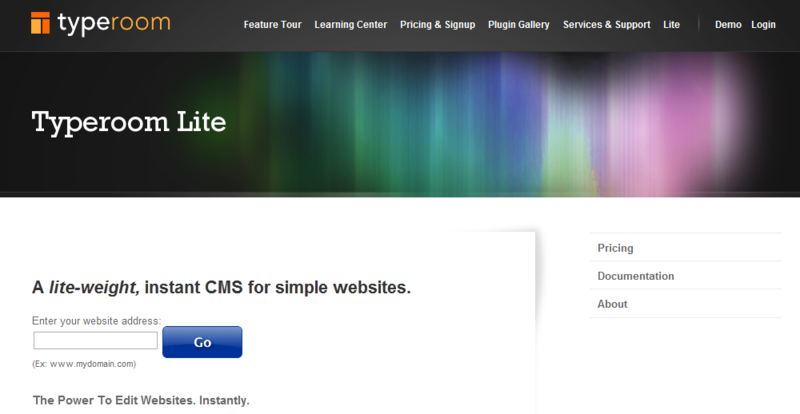 If you are in need of a stripped down, easy to use, and easy to install CMS, then read on. The “publishing engine that does less.” It is extremely simple, with direct page editing and no control panel, and supports drag and drop, express engine integration, and design integration. Moto Motor is a paid solution, but comes with a 30-day money money-back guarantee. The latest version (at the time of this writing) of this free lightweight CMS is 2.03.1, which comes with plug-in system for extended support, user-friendly interface, high security, and file and site backups. A self-hosted application, which allows the building of unlimited sites and pages. It is available in 14 languages, allows the users to edit XML, and installs in just a few minutes. Free and Pro versions are available and the latter comes with branding features, support, and various additional controls. Advertised by its developers as the “really light content management system,” costs £35 (approximately $57), and runs on Windows and Unix-type servers. It comes with control panel, full markup control, support from the authors, and allows sites in various languages to be created. Plugs into an existing site, sets up in minutes, allows branding, and is HTML 5 compatible. It comes in free, professional, and business versions. Allows users to manage multiple sites from one single location, requires no installation, and integrates easily with any existing template. Free, professional, business, and enterprise editions are available. Lightweight, yet rich on features. It lets designers and developers customize their designs, edit their content easily, link to Google Analytics from within the CMS, and manage multiple sites. Additional features such as easy page integration, rich text editor, page cloning, webpage history, image editing and resizing, and file management, make this CMS extremely versatile. Supports drag and drop ordering, flexible page content, and reusable content snippets, comes with password protected admin area and has page navigation menu with unlimited hierarchy. Does not require a database, which allows it to be used on any type of hosting. Amongst its many features are multilingual translation support, external links in the link menu, file permissions security check, fast and simple installer, modular framework, file manager, multi-level menus, and user accounts with different levels of access rights. The main advantage of the Razor CMS is its extendibility, which allows additional features to be added when needed. An open source content management system, which supports events, posts, links, media, e-commerce, analytics, and makes provision for adding and managing users as well. It requires MySQL and PHP5 to run. A lightweight, open source CMS, which is simple, fast, and secure. It comes with theme support, easy Google Analytics integration, and allows the users to build their sites in multiple languages. 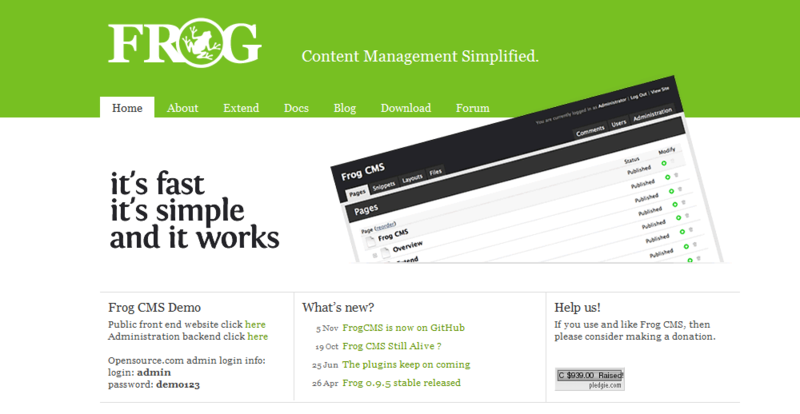 A free, light, and open source CMS system, which is ideal for smaller websites. It is easy to install and use, flexible, skinnable, uses XML data storage, and supports customizable Meta tags and RSS feed creation. Free, secure, easy to use, and versatile. It allows users to create their own templates in a matter of minutes and build accessible and SE-friendly websites. Multiple languages are supported and integrated file and media management, WYSIWYG back-end editors, and group-based access privilege system are available as well. 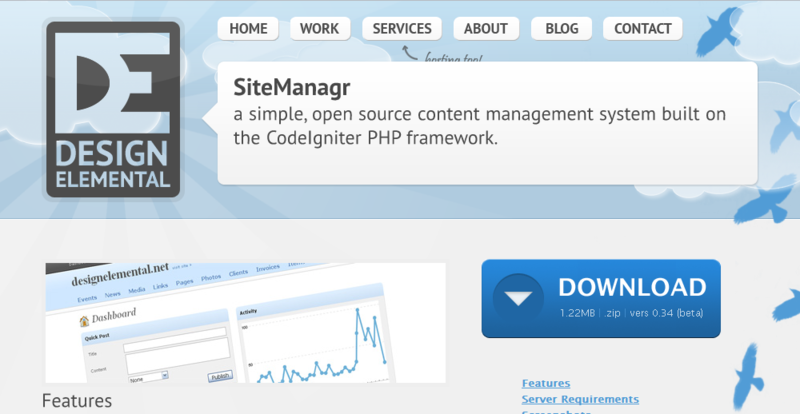 A very simple, open source, and 100% free CMS, which is ideal for developing mini-sites. It does not require database, has no admin area, and lets the users build a new site in just a few seconds. Fast and secure content management system, which does not require database. It is ideal for creating wiki-like sites, facilitates simple HTML editing, comes with UTF-8 support and is extendible through a simple plug-in API. A free, open source content management solution. It is easy and quick to install, does not need database, and has simple AJAX-powered interface. 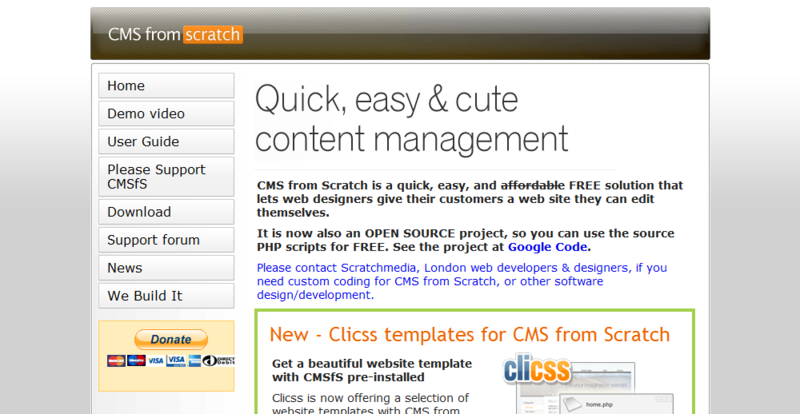 A CMS written in PHP, which is small and very easy to use. It is also open source and allows its users to create their own blogs with unlimited number of web pages, set up an album to show pictures, and add contact forms to their sites. A content management system, which requires MySQL and PHP in order to run. It is very flexible, easy to use, and light. 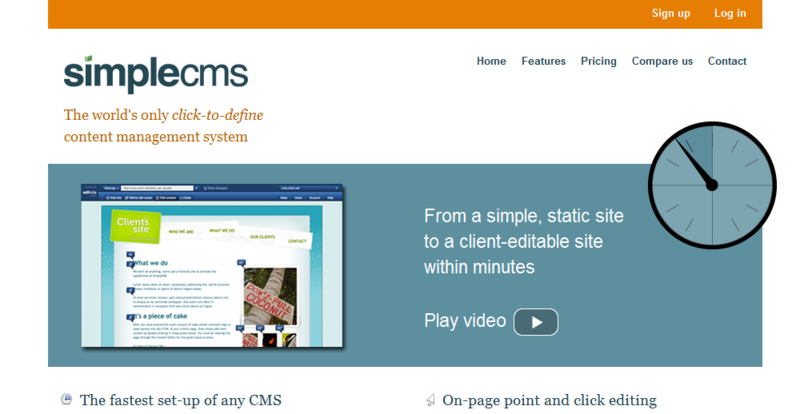 A light CMS platform, which is ideal for designers that use Dreamweaver. A simple and elegant content solution, which has easy to use interface and requires PHP and MySQL or SQLite 3 with PDO. It is open source and distributed under the GNU General Public License. An open source content management system, which is very simple, elegant, and flexible. It has a fast-growing extension library that allows its functionality to be further extended and comes with a XML-centric data engine. A free and open source CMS, which uses CSS for its designs, offers database backups, and supports JQuery, microformats, themes, plug-ins, modules, and blocks. 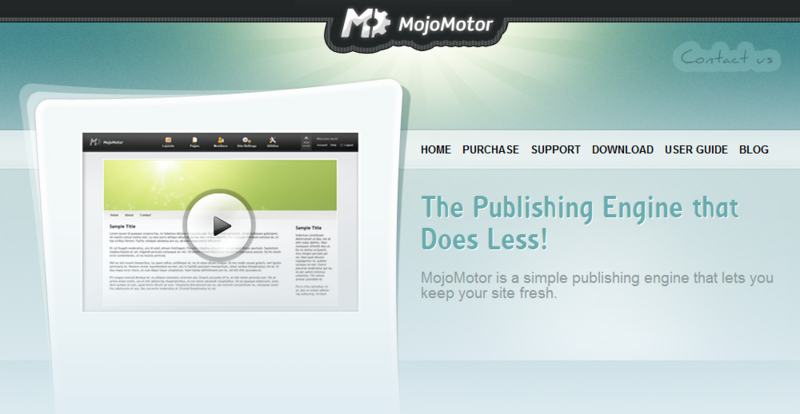 It is also multilingual and lets its users build unlimited pages. Comes in free, basic, business, and premium editions, which support from three to one thousand pages and come with twenty-five megabytes to five gigabytes of storage. The three paid options support custom plug-ins and FTP access, and the business and the premium editions support permissions as well. Do you have a favorite lightweight CMS we didn’t list here? Please share with us in the comments. I'd add concrete5 www.concrete5.com open-source, free,etc. ModX is a good one. Lightweight, easy setup and admin. Runs on PHP and MySQL. I wanted some alternatives to the XML-powered Get Simple that you mentioned. Using MySQL would mean a significant annual cost increase for me, with little other benefit, and the hosting budget is tight. I tried Get Simple, but the documentation was very poor indeed so I didn't get far with it. XML is surely the very definition of "lightweight" in relation to content management, yet it is almost completely overlooked. Great research, thanks. You can't forget about IzzyWebsite, an easy to use and brandable CMS - which doesn't even require MySQL. Thanks! great collection of nice CMS. thanks. http://www.phpwarmsky.com is lightweight and open source yet very big 3000+ files. 40 + modules and 10 themes. try it. it even has an online demo to test the features. I do not think you can consider Drupal lightweight.